It’s summer, that means I have a wide variety of homegrown veggies to use as sides for every meal. I’ve been keeping a keen eye on my jalapeño plants waiting for them to come ripe. I spotted this recipe a long time ago and have been waiting for these peppers for months just to make it. 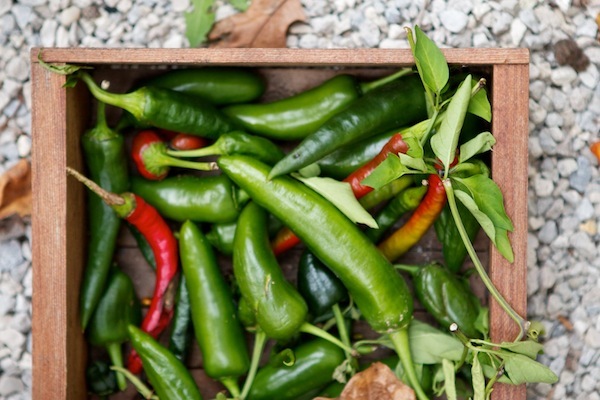 Cut jalapeños in half and scrape out seeds. Be careful not to splatter any juice in your eye – wash hands well afterwards. Cut cheese into rectangular cubes small enough to fit inside each pepper half. Make sure they’re not too small, don’t be stingy with the cheese! Wrap each cheese stuffed pepper half with bacon with ends meeting up on the bottom side. Place seam side down in cast iron skillet. Try to use a skillet where they fit snugly. Cook on stovetop for 7-19 minutes. Turn on oven broiler. Brush bacon with maple syrup and put under broiler until syrup caramelizes on bacon. Cool a few minutes and enjoy. These are great for an appetizer, dinner side, or even with some scrambeled eggs for breakfast, which is how we enjoyed them. Once you make them once, you’ll be making them all the time. They’re so quick to make and are not bad when they cool down. They would be perfect to take to a party! Have you been waiting for any fruit/vegetable to come into season so you can finally make a recipe? 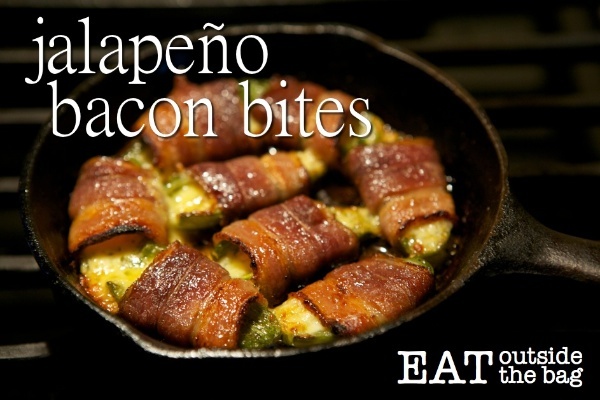 When I made these before I would fill the pepper with cream cheese, wrap with bacon and place in oven. Last year I had so many peppers that I prepared them and froze, then placed in oven to cook when we wanted some. I no longer buy cream cheese, so I am glad you posted this. Great idea to freeze them for quick snacks/sides. I think I’ll have to do that this year! making these for dinner tonite! yum! I have a ton of jalapeõ peppers! I cant wait to make this. Now I just have to wait to get cheese from the farmers market this w/e!! Just tried these. Delicious! And freezing them sounds great too.